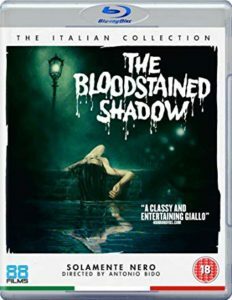 Later-era giallo that takes cues from the best of the genre and I will pretty much watch anything labeled “giallo.” Unwatched 88 Films Blu-ray. I read about The Bloodstained Shadow in Troy Howarth’s So Deadly So Perverse Vol. 2 and subsequently picked the Blu-ray up from 88 Films. It’s been on my shelf for ages, but with the arrival of the Underrated ’78 lists on Rupert Pupkin Speaks, I had to finally crack the seal and do the deed. It’s a murder mystery and insular society whodunnit with strangulations, mediums, unsolved murders, repressed psychoses and black gloved killers! In Venice! 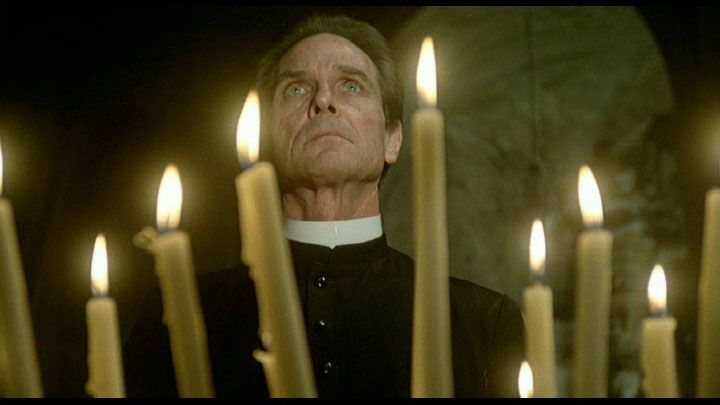 Antonio Bido’s The Bloodstained Shadow (aka Solamente Nero) recalls Lucio Fulci’s Don’t Torture A Ducking in that in focuses on the crimes committed within an insular society. Where Fulci goes bombastic to unearth the message in his film, however, Bido peels back layers with tweezers. 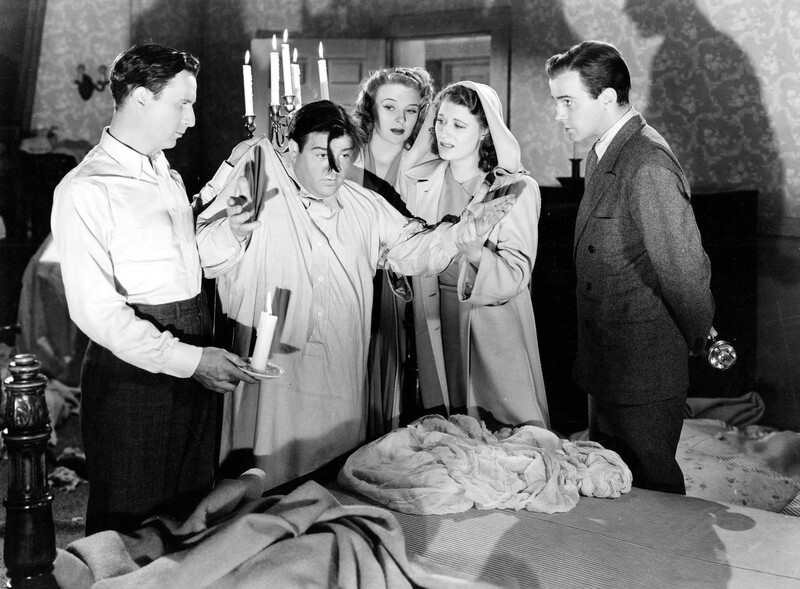 So Bido might telegraph the identity of the killer rather early on in the film, but the fun of The Bloodstained Shadow has nothing to do with uncovering the truth. It’s about how you got there — and you’ll cross multiple genres and wildly erratic pacing to make it happen. Like Bido’s other successful film, Watch Me While I Kill, it sometime feels like the director merely flies by the seat of his pants, piecing together genre aesthetics and cues like mismatched puzzle pieces. While it’s easy to interpret that as a lack of vision or incompetence, Bido appears (feel free to argue) to use his lack of convention to keep viewers off balance. Seeing as how he’s working within a very restrictive genre, this methodology has less madness than you might think. How Does a Shadow get Bloodstained Anyway? 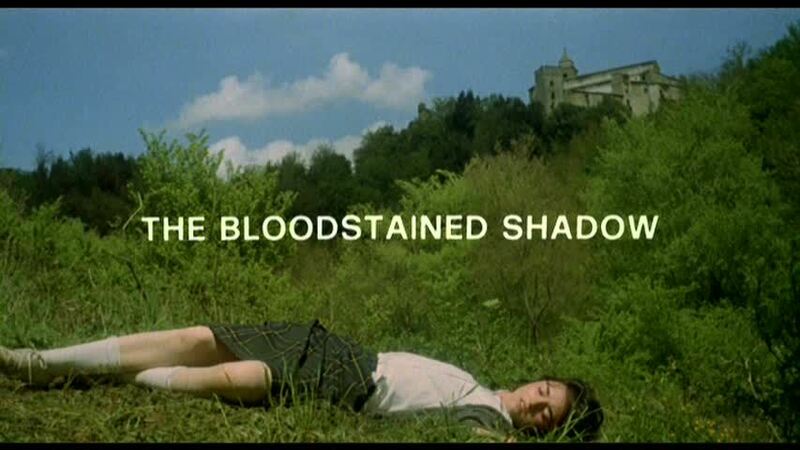 In certain ways, Bloodstained Shadow reminded me of Francisco Barilli’s Pensione Paura, another film that dances between predictable genre beats to create something resistant to categorization. 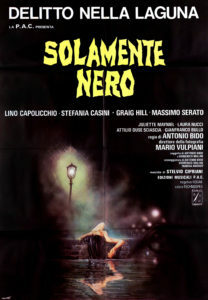 Bido manages to include a smattering of visual tropes that still ground the film within the giallo genre range. This has probably served Bido better than Barilli’s non-conformity. As a result of the style of the murders and procedural drama, Bloodstained Shadow gets that genre credibility. 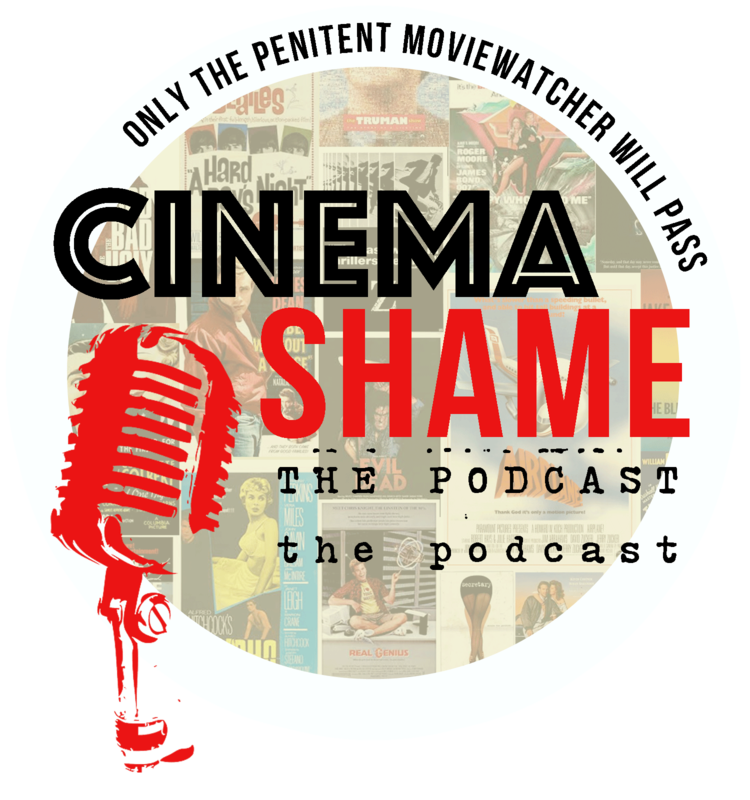 Viewers will remain interested in giallo-classified films, whereas Barilli’s film floats outside the genre and therefore off of most horror fans’ radar. It’s not even currently available on DVD to my knowledge and that’s a bloody shame. The Bloodstained Shadow has such awkward pacing that you’ll forget for long stretches that what you’re watching is supposed to be a horror film. Normally, I’d use that very same line as a complaint. In this instance, however, Bido so effectively deploys exotic cityscape cinematography an score (by Stelvio Cipriani and mixed and re-recorded by Goblin) that the languid pacing feels more like a strength. The film has plenty of other weaknesses, but it largely overcomes them by having a unique feel in an otherwise narrow genre bandwidth. The Bloodstained Shadow is available to watch on Amazon Prime Video. The film looks rather dark and colorless on the stream, but it’s quality enough to sample for free. I watched the film on 88 Films’ Region B Blu-ray release, which offers better color and sharper black contrast. It’s not a major upgrade, however. I still hope that the film will received a nice Region A offering in the near future from a caring distributor willing to do some restoration work. The visuals and score are the most important parts of the film — so it’s a shame that we can’t view a better source.